He is cool, he is suave, and he is classy. He has a great sense of humour and is ultimately sassy. He is none other than Abhishek Bachchan. 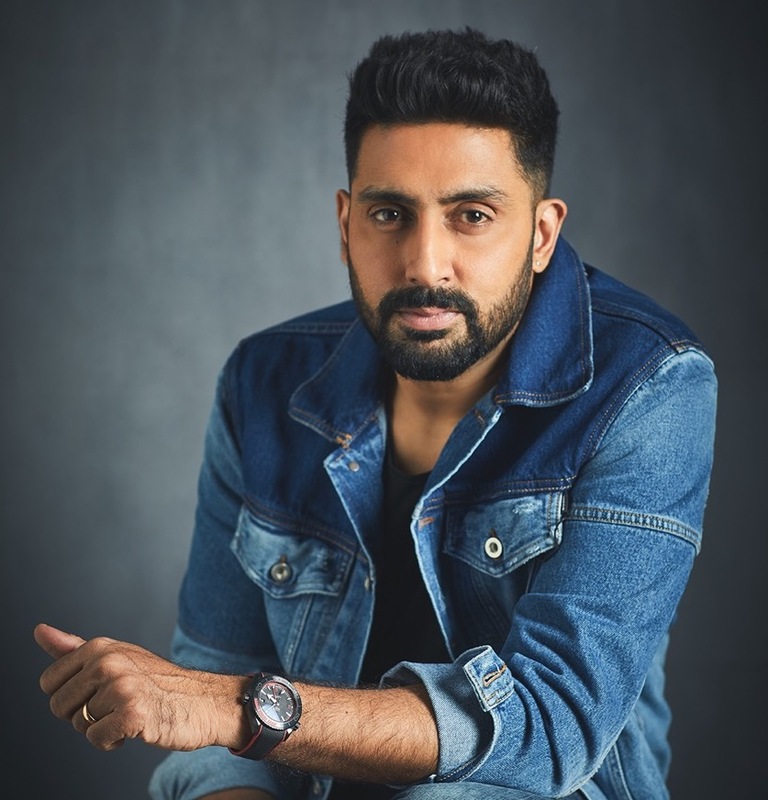 While the world might know him as ‘Junior Bachchan’, Abhishek has his own niche carved in the industry with some of the best films of the last two decades like Bluffmaster, Raavan, Sarkar Raj, Guru, and more. 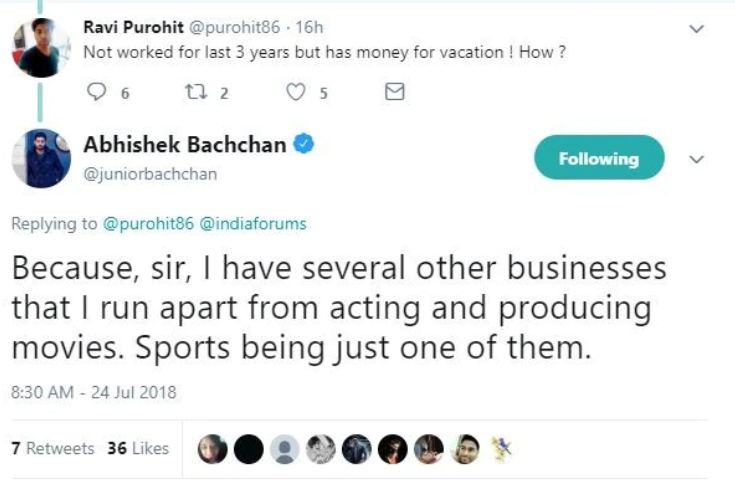 And lately, Abhishek Bachchan has earned quite a reputation for his repartees on social media and standing up as a true netizen. While people try to troll him, he trolls them back, with all due respect. He never shies away from calling a spade a spade with his witty, humorous, and apt responses, to uncalled-for comments and snide remarks of the Twitterati. On the occasion of his 43rd birthday, we go back to some of his best reactions and responses on Twitter. Recently he was trolled for his work choices. 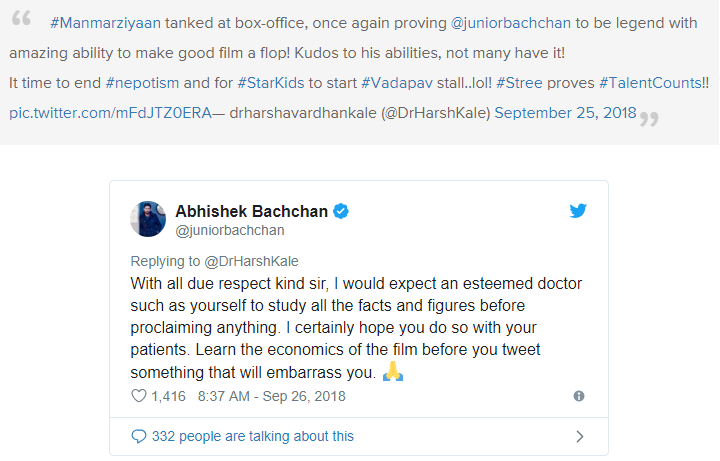 When a professional doctor trolled him, reacting on his recent film ‘Manmarziyaan’. 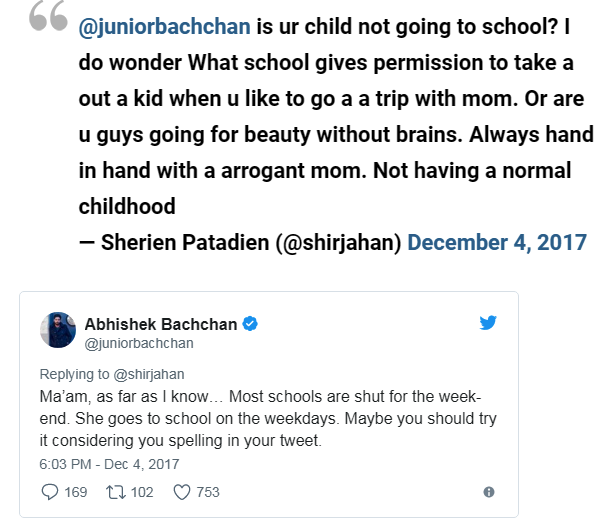 That one time when a ‘responsible citizen’ showed concern about his daughter upbringing, Abhishek just had the right comeback. 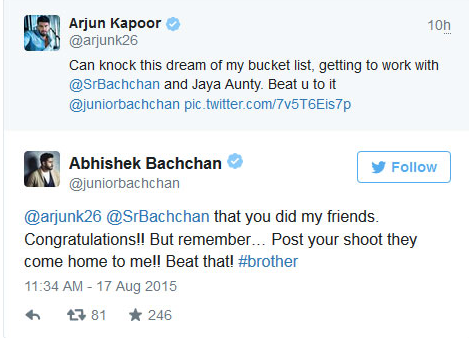 Abhishek’s wit is not reserved only for those who troll or his fans but also his friends and colleagues. 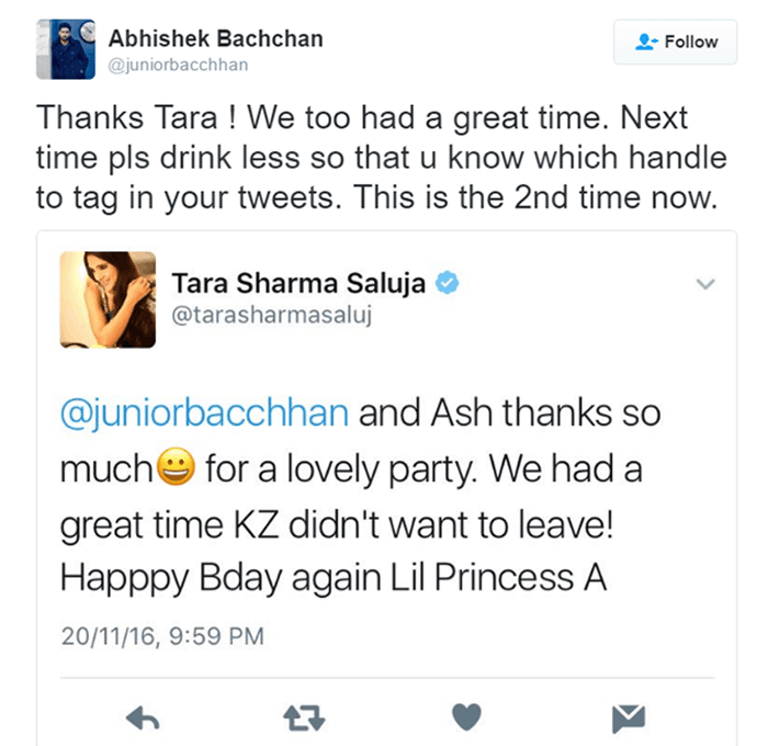 Here’s a recent scenario when Tara Sharma tweeted to a wrong handle of his namesake. And when Arjun Kapoor enjoyed the experience of working with both Amitabh and Jaya Bachchan and trolled Abhishek to that. Hope we can all learn a trick or two from him on how to handle such trolls and take every negative comment in his stride!